If you're an avid RV'er that travels throughout the United States regularly, then you've probably noticed several campgrounds and RV parks with hard water. Unfortunately, that is a much more common occurrence than people know about and can be especially bad in the Sun Belt States such as Florida, Louisiana, Texas, Arizona, New Mexico, California and parts of the Midwest. Having a portable water softener can prolong the life and resale value of your RV and increase the quality of your trips. 1) Prolonged exposure to hard water can damage your sinks, toilets and showers. Heated hard water leaves a scale of calcium and magnesium minerals that can degrade the quality of your pipes prematurely. 2) Washing your clothes in hard water leads to them wearing out sooner than you'd like. The minerals found in the water damages fibers, causing them to feel dingy and harsh. Sustained exposure will shorten the life of your favorite shirts. 3) Calcium and magnesium break down the effectiveness of soap. In hard water, you'll find that it becomes very difficult to get suds and will often have leftover residue in the form of a sticky scum. Bad for your pipes and showers and especially unpleasant when you need to clean yourself. 4) A 1/4 inch build up of scale in your water heating element will cause you to use 40% more energy to heat up water. The addition of a water softener to your RV is a great investment to its longevity. In the long run, the money saved from preventing premature damage to pipes, maintaining lower energy costs and keeping a high resale value in case you decide to part ways with the vehicle, will offset the initial costs. 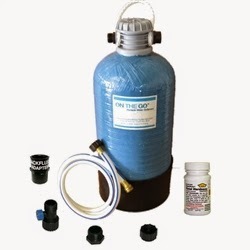 Questions or thoughts about adding a water softener to your RV? Contact us! We'd love to hear from you! RV vents are a great feature that allows you to enjoy better air flow and keeps the moisture level moderated. However, these rooftop vents often have disadvantages because they open the RV to exposure to the outside elements, despite the presence of a screen. Thankfully, RV vent covers can offer great benefits so you can use your vents to their fullest potential. Whether you are storing your trailer for the season or just until your next camping trip, rodents and other pests may choose to make your RV their home. One of the areas they like to use for their nests is your vents. When you install covers over your vents, it will keep these pests out so you don't have to evict them before your next camping trip. Because of the construction of the vents, they can't often be used when it is raining. This can cause an issue when it is hot and you want to improve air flow or you are trying to cook or shower without building up humidity inside. With the use of vent covers, you will gain use of your vents, regardless of what the weather is doing outside. In addition to providing benefits when you are using your RV, the use of covers can offer advantages during the storage period. When you store your RV, you often close everything up to keep out the elements and any pests. However, when you have covers over your vents, you can actually crack them open so your RV can air out throughout the storage period, keeping it in better shape once the camping season comes around again. While many RVs are already equipped with everything individuals need to have a pleasant camping trip, there are many accessories you can add to enhance the experience. RV vent covers are a great addition to all your powered vents, allowing you to keep them free of pests and debris, as well as allowing you to use them in all weather conditions. They are also a great help during the storage season, keeping the air inside your RV from getting stale. 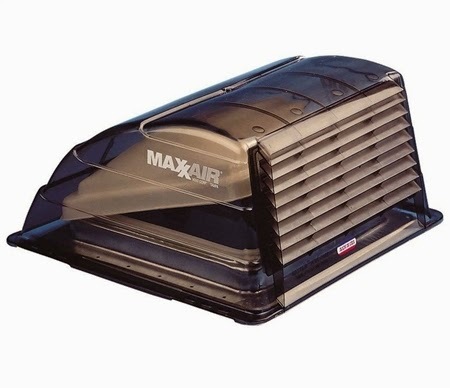 If you are interested in adding vent covers to your RV, contact us, or visit our site at RVUpgrades.com. We carry a wide selection to fit any RV.